The college recruiting process is like a funnel. At the top, you have thousands of potential recruits, and out of the bottom, you have the few athletes that get signed as part of that year’s recruiting class. By understanding how coaches move athletes through the recruiting process, you can best position yourself to be one of the athletes getting signed. In this article, we lay out each level of the funnel and the approximate number of athletes at each level. These numbers are based on a fully funded NCAA DI football program that can sign 25 athletes per year to a scholarship. You can adjust the numbers down based on how many scholarships are available or the average recruiting class size for your sport. At this level, the graduate assistants, video team and assistant coaches are tasked with identifying any potential recruit for the program. Coaches rely on online databases to do broad searches for athletes who have the basic athletic and academic requirements. They might also buy select lists of athletes evaluated by third parties they trust. How to make it through this step: Get an online profile on the major recruiting databases and keep the information up to date. You should also consider attending showcase-style events where you can get evaluated by a trusted third party. Once a program has identified you as a potential recruit, they have some initial letters they will send to see if you might be interested in their school. These letters are usually generic and ask you to complete a recruiting questionnaire so the coaches can get more information about you. While this doesn’t mean you are being seriously recruited yet, it is a necessary step in the right direction. How to make it through this step: Send back all letters and complete the online questionnaires for any school you might be interested in. Unless you are 100% sure you would never attend a school, it is best to keep your options open at this point. In the past, getting and evaluating video was a painful process for coaches. Now, with the growth of online videos, coaches watch more film. While that is a positive overall, coaches are getting very picky on what they expect from a film. Make sure your video is edited in a way that makes the best first impression. How to make it through this step: Get your highlight video posted online and make sure coaches can find it. Many programs might already have you on their watch list and are looking for your film. This is the step where many athletes and families think the process begins. The truth is, if coaches are calling you, they have already made several evaluations. Now, they are trying to get a sense for what kind of person you will be for their program, moving beyond the athletic and academic evaluations to character assessments. How to make it through this step: Coaches will want to ask you questions, but they are always impressed when athletes have questions of their own. Each college program treats verbal offers differently. 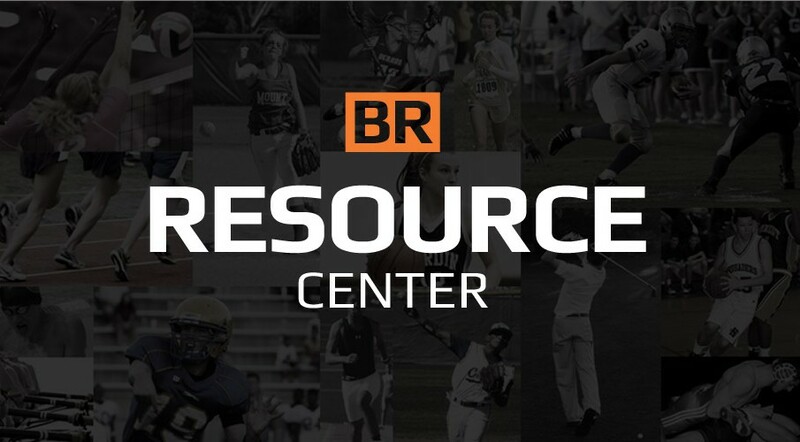 Some colleges only offer the athletes they plan to sign, while some will extend more offers than they can sign, knowing many of the athletes will sign elsewhere. How to make it through this step: If you are fortunate enough to get a verbal offer, always ask a coach how long you have until you must decide on accepting the offer. You can also ask if they have offered anyone else in your position so you get a sense for how many offers might be out there. Official visits don’t happen until a recruit’s senior year. While traditionally they were a major part of the evaluation process, they are largely a formality now. While some elite athletes might still be making their decision, most athletes on their official visits have already made firm commitments. How to make it through this step: Get your NCAA ID number before your senior year. Before you can accept an official visit, you must get an NCAA ID number and provide that to the coaches offering you the visit. This is the maximum number of athletes a DI football program can sign. The final size of the signing class will vary depending on the number of scholarship available and the recruiting needs for that program. How to make it through this step: This is pretty easy. If you have been offered a scholarship to sign, get a really good pen and surround yourself with your friends and family to celebrate. While this is an over-simplification of the complex recruiting process, use this template to know where you stand with each program. Focus on making it to the next step with the schools you are interested in, and you could be fortunate enough to sign your senior year.